Color, as a means of expression, has been part of human history since handprints were first painted on cave walls. But in order to make the shades they had imagined, people had to unearth pigments and dyes often hidden deep within plants, minerals, mollusks, insects, and other natural elements. They developed complicated, dangerous, and sometimes even revolting techniques in order to achieve deep reds, luminous yellows, and the most beautiful blues. Archaeologist and ethnologist Anne Varichon takes the reader on a fascinating journey that examines not only the variety and use of natural colorants—and how to reproduce them today—but also their symbolism and mythology. 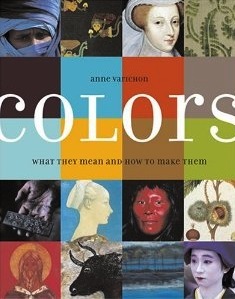 From Confucian China to medieval Europe, from the Papuans to the Inuit, she travels across the centuries and around the world in this absorbing, and often surprising, cultural history of the sources and meanings of color.